At one time there were more Sicilians in New Orleans than in any place other than Palermo! 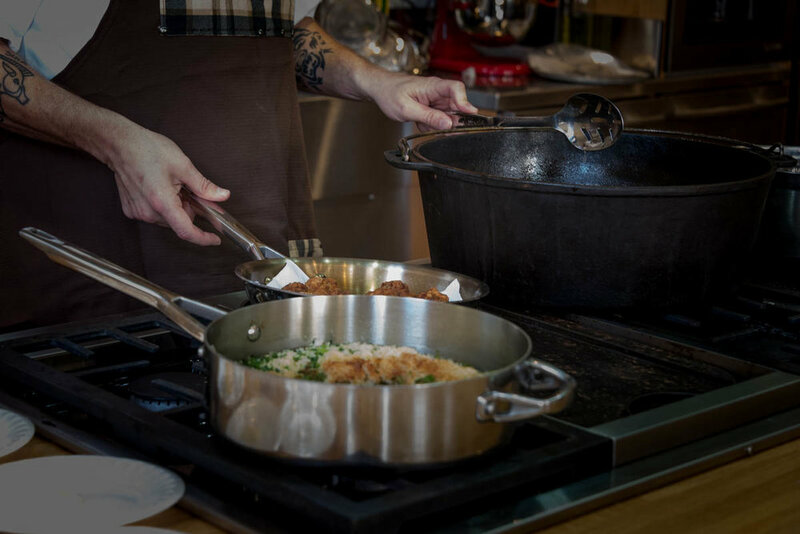 Learn about how Italian cuisine was incorporated into New Orleans in this Creole Italian Cooking Class. Presented by Liz Williams, SoFAB Founder and President, and Jyl Benson, SoFAB's Director of Culinary Programming, the demonstration class offers an in-depth look into how to create delicious, traditional dishes that can be found nowhere else in the world, while discussing their cultural and historical origins.